The Joy Paradox, a series at Riverview March, 2011. 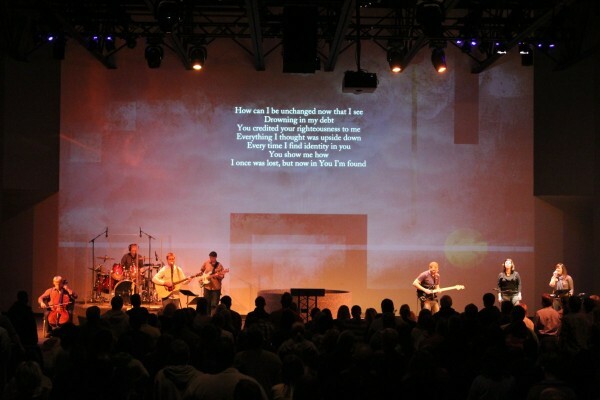 Our Creative Director, Kristie, designed a custom image for the background projection, we did not do a physical build. I must note, as I have previously, that she creates the projection which integrates with the sets for each series that we do.